Looking for a new 'do but not sure which direction to head in? 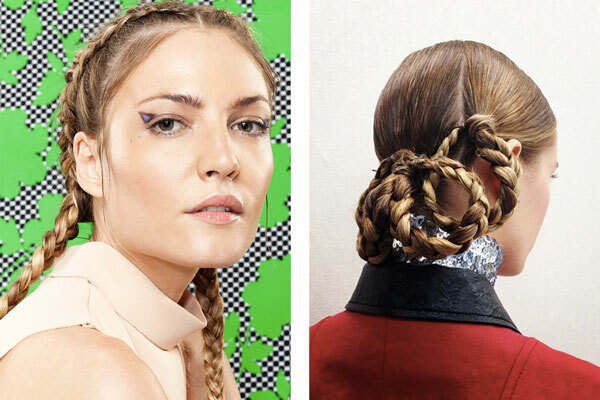 Consider an intricate braided hairdo. I'm not talking no boring braided pigtails or Pinterest-style complicated princess updos; rather more modern twists on the classic hairstyling technique. Consider brands Antonio Marras and Christian Dior, who for their respective pre-fall collections turned to a Heidi-meets-Princess-Leia type for beauty inspiration. 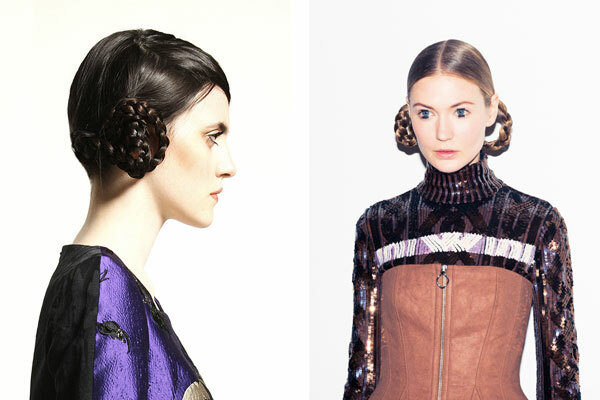 The end result: a both folksy and futuristic hairstyle that is at once unique and très cool. Braid your hair into three or four sections, then loop them around and pin them up to create your own take on the look. I also am really digging the reverse French braid pigtails that Refinery29 recently did for one of their editorials. This is not your average playground hairstyle; no, this is an edgy look for a tough lady who just also happens to love pigtails. If you want to avoid looking like you're ten, try a smoky eye or thick sweep of eyeliner to edge up the look, or wear a minimalist outfit with clean lines. You won't look like you're trying to be ten years younger than you are, but you will be looking like the coolest girl in the room. What do you think of braided loop hairstyles? Will you be trying this look out?